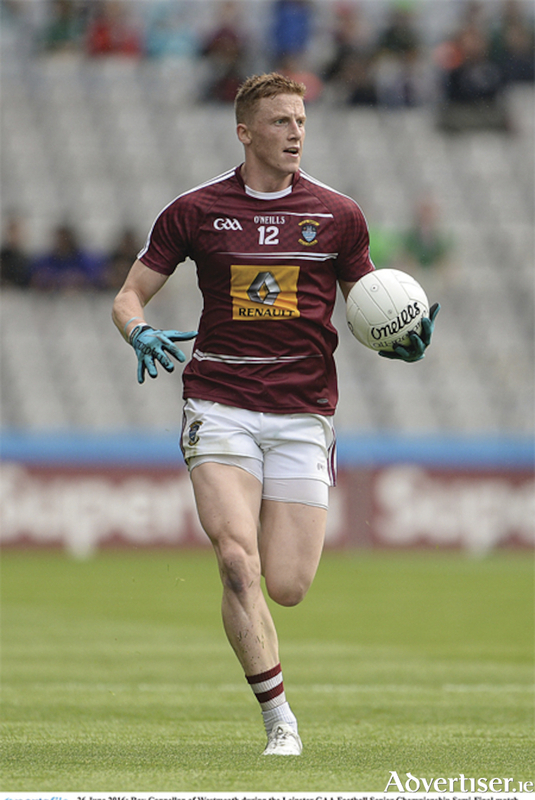 Ray Connellan, pictured during his Westmeath senior football days has returned to Australia and will play for VFL Bomber, an affiliate club of Essendon. Photo by Oliver McVeigh/Sportsfile. The sporting careers of Coosan duo, Robbie Henshaw and Ray Connellan, received a further fillip on Tuesday as news emerged that the childhood friends had been rewarded for their prowess on the playing fields. Henshaw, has penned a new three year deal with Leinster, a contract which will see the talented centre don the provincial blue until the end of the 2021/22 season. Having garnered 37 caps for Ireland to date, the former Marist College student, has continually impressed on provincial duty winning both the European Champions Cup and Pro 14 in 2018. He also toured with the British and Irish Lions in 2017 but injury curtailed his test ambitions in New Zealand. Henshaw will be hopeful that consistent performances in both the blue and green jerseys will see him included in the squad as the combination team tour to South Africa in 2021. Meanwhile, Athlone GAA clubman Ray Connellan has been offered a second opportunity to fulfil his dream of a professional career in Australian rules football as he officially joined VFL Bombers, an affiliate team of Essendon. Surprisingly released by St. Kilda last year following a two year stint, the Westmeath senior footballer has returned to Australia where he will now aim to become a permanent fixture with the Melbourne based club.